In the first three posts of this series, I outlined different ways the current presidential campaign offers great opportunities to apply the skills and values learned from a sustained practice of meditation. The suggestion last week was to make the effort to offer positive wishes, or prayers if that is your preference, for the well-being of all candidates. Please see the last week’s post for more background on this point (the archive of posts is on the lower right hand corner of the home page). I want to emphasize again that for most people, it may take a while before they become willing to offer positive wishes for those politicians and/or media figures they strongly dislike. Please feel free to develop your own language as you wish to. The second stage is to be mindfully aware of any feelings of hope, or sense of triumph, or optimism that arises if it seems like things are going well for “your candidate” or “your side.” In a few simple words make a mental note such as, “feelings of optimism or hope.” See how these feelings affect the mind and heart. For the third stage of this effort: offer a sincere and positive wish towards whomever you have been thinking about. “May they know the joy, health, and prosperity that all men and women want for their own life and family and their community.” Once you get the hang of it, take a moment to see how these efforts affect your mind and heart. On the other hand, if the news is about a candidate you do not like and do not trust this three stage process is still pretty much the same. 1-Be mindfully aware of any feelings of anger, harsh judgement, resentment, sense of disgust or despair that arise when you think of politicians or media figures you do not like or trust. 2-In a few simple words make a mental note, “feelings of anger and fear.” See how these feelings affect the mind and heart. 3-Then, if you are able to, offer the sincere and positive wish towards whomever you have been thinking about. “May they know the joy, health, and prosperity that all men and women want for their own life and family and their community.” Once you get the hang of it, take a moment to see how these efforts affect your mind and heart. As you develop the ability to step outside the usual reflexive judgements of others, and to wash away the knew-jerk reactions of anger and fear, the benefits of this work will become clear. Your mind will continue to settle into deeper states of calm and clarity. From this clarity, insights will arise that will allow you to see the true underlying causes of social conflict and injustice. You will also begin to see more creative ways to deal with deep-rooted problems. Whether you are conservative or progressive in politics, whether you are a spiritual person or an atheist, you can adapt this practice to your personal experience and views. If you can pray for your candidates and the opposition candidates, we will all be better off. If those you oppose pray for their candidates. and those on “your side,” we will all be better off. If enough people embrace this simple practice, we will reach an important tipping point. We will be able to shift the tone of the current, acrimonious national debate. It will become possible to build meaningful new alliances between groups and to forge a new consensus across the broad middle of the society. We can break through the dangerous stalemate we are in now. This simple practice will help with all of this. Please let me know what you think. I will be glad to get back to you. 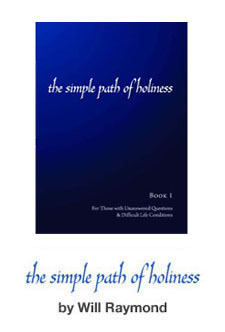 Author of the Simple Path of Holiness. Host of Meditation practice dot com. One thing that has struck me in both parties’ debates is how the idea of care for others, that actual idea, is never mentioned. Their response to their own family and community is not referred to as an example of how they lead their own lives. people outside the country. It would be interesting to see how local races would respond to meditation as preparation for debating opponents. Thanks for your suggestions and laying out the steps. While I hope politicians might find meditation to be of interest, there is another reason why I wrote this series. I wanted to give voters a different way to process the frustrations that can come up when one follows an important election closely. For me, I want to use this basic practice to shift the way I respond to various news reports. I want to follow the developments, but I want to find ways to not get swept along by the highs and lows of what I think will be a very tough campaign. I also think it happens to be yet another interesting way to help people to continue to move towards unconditional love. I think many voters will need this practice as a way to cope with the stresses of the next election cycle.